Can you tell us a bit about your background, and why you applied to volunteer at the Grainger Museum? I’m originally from Sydney and studied piano at the University of Sydney. I’ve sung in choirs all my life, and I have three children who play wind or brass instruments - so I’d always known about Grainger as a composer, whose lifespan overlapped my own. I’m now retired from the State Library of Victoria, and one of my daughters suggested this could be a way for me to occupy my time. What is an average shift like for you at the museum? Well, it’s unpredictable. There are quiet periods where I can brush up on my knowledge on Grainger and his life. And then there are busy periods where you are interacting with visitors from all backgrounds. It is often through visitor’s questions that I learn more about the Museum myself. 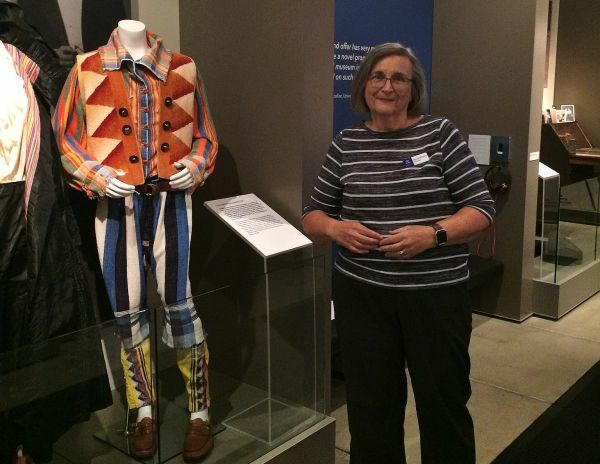 What do you like most about volunteering at the Museum? Well, it’s just a lovely place to be! All the staff are very nice and supportive and when I get together with the other volunteers they are all really lovely too. Of course, it is the visitors who make things interesting. I could lock myself away and do indexing somewhere or something but it’s so engaging talking to people. We hear you have an exciting trip planned? On Monday the 21st myself and 50 other chorlasters from the Heidelberg Choral Society (in Melbourne) are flying to New York to join with other choirs in Carnegie hall to perform Karl Jenkin’s Symphonic Adiemus – we are also going to see Carmen at the Met and I hope to visit a few war museums, and avoid the snow! I shall take notes for the Grainger. Thank you to Merrill for her insights into volunteering at the Grainger Museum, we look forward to hearing about your New York adventure on your return. If you are interested in becoming a Grainger Museum volunteer, please refer to the Volunteering information page on our website.